Since I already reviewed War Machine, this shouldn’t come as much of a surprise. 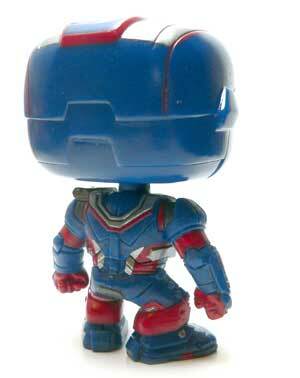 Since I saw him for a good price, I really couldn’t pass up getting get the repainted movie version of Iron Patriot. I’m not a huge fan of the colors for a weapon armor, but, he looked pretty cool so I went ahead and picked him up. Now, let me start out by saying he’s a straight up repaint of WM. That said, it’s surprising how much difference a little paint can make. 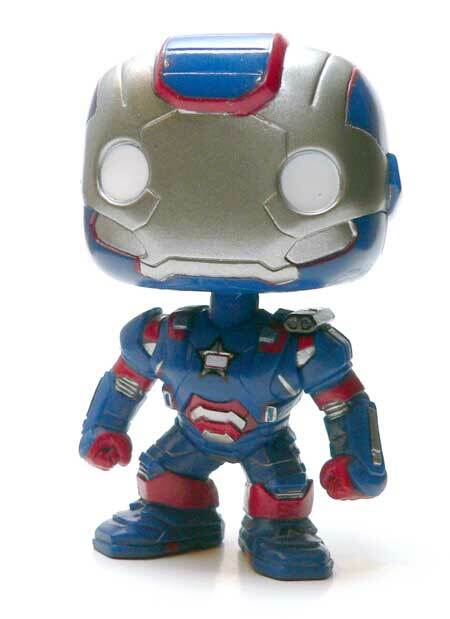 I have to commend Funko for attempting what they tried here. In a number of place the red is almost a pinstripe to the larger blue areas. The silver face is a great example of how the change in paint alters the look. 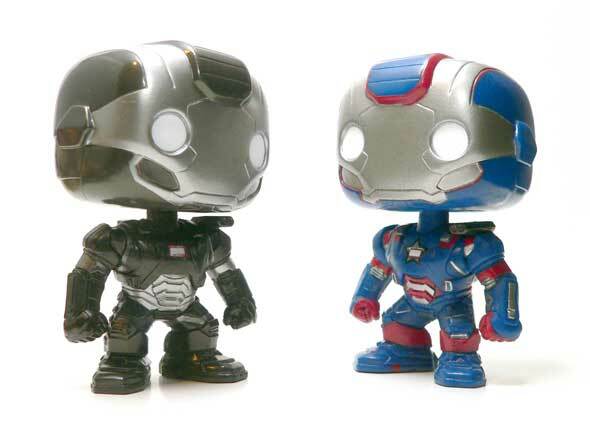 The “cheeks” are painted silver here as opposed to the gunmetal on War Machine. It gives the face a different flow and shape. Red is used to highlight the edges of the blue on the head. It’s okay. Red is a hard color to get right, it always seems to bleed through a bit. I’m not going to call it sloppy. 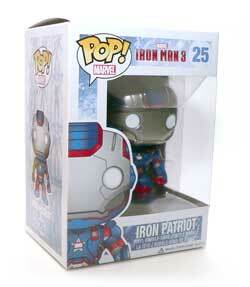 However, the red lines aren’t as crisp as we’ve seen on some other Pop!s. The panel variation continues through the body. Just by painting different panels, it makes the piece of armor look like a different form. The stomach paint makes it look like a different number of panels. One area you might want to look at if you are getting one of these is the hands. They seem to have quite a bit of the blue bleeding through the red. It’s not horrible, but if you look close you will see it. By no means is this a bad figure. 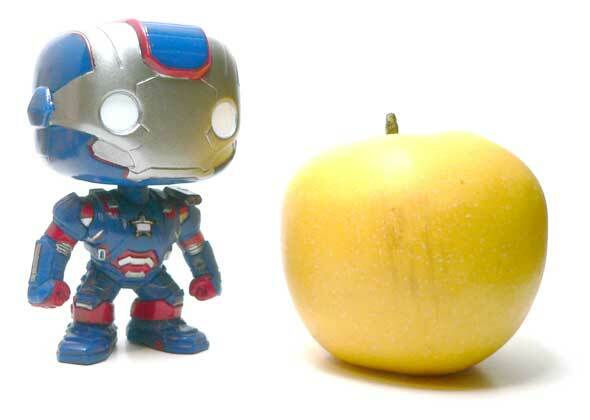 He works perfectly as a Pop!. Honestly, he’s a great example of what a repaint should be. For me a good repaint is when you can’t quite tell it’s a repaint unless both figures are together. I really commend them for the complexity of the paint as well. They could have probably taken some shortcuts, but they didn’t. Very , very cool repaint. I like it much better in this brighter color scheme. Great review!